LONDON, UK / ACCESSWIRE / November 10, 2017 / Estonia has pioneered a new online voting platform in a drive to strengthen security and transparency for the country's voters, attracting more online voters than ever before in its most recent election. This election on October 15th saw a record high of 186,034 online voters, 39% more than the previous local election and 5% more than last parliamentary election according to Smartmatic. Renowned for being ahead of the curve when it comes to electronic voting processes, Estonia has pioneered online voting since 2005. Now, the country has shown its commitment to ensuring the highest levels of voter security with the implementation of a new verification system during the country's local election. 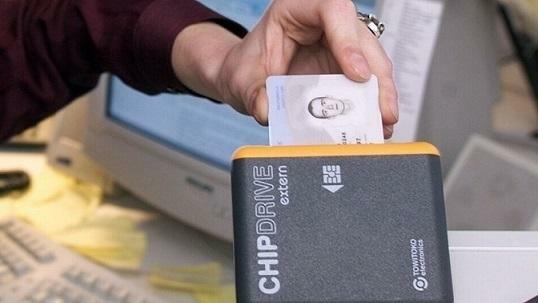 This new end-to-end verification technology system, developed by Smartmatic and Cybernetica, and deployed by the Estonian National Election Commission, enables voters to track their votes and verify that the vote was counted correctly. This is the latest step in an effort to counteract perceptions that outside influences can compromise election results, and proves the tallying of election results through electronic voting. The election also showed the incredible potential that secure and transparent online voting systems can have in encouraging the general public to participate in elections. Antonio Mugica, CEO of Smartmatic says, "The continued growth of online participation in Estonian elections confirms that online voting is meeting the needs of voters. From the everyday citizen, and all the way to the President, Estonians trust the system." Smartmatic and Cybernetica partnered in 2014 to advance Internet voting on a global scale. From their R&D lab in Tartu, and building on the success of the Estonian voting system, the Smartmatic-Cybernetica Centre of Excellence for Internet Voting began developing online voting to further strengthen its security, verifiability, usability and transparency. "We are pleased to see Smartmatic's investment on R&D bear fruit. This new record for participation in Estonia is just another reason to continue investing to find new ways to facilitate democratic participation," added Mugica. Founded in the USA in 2000, Smartmatic is the leading provider of voting technologies and solutions worldwide. Today, out of the eight countries pioneering election automation Smartmatic provides technology and services to six of them: Belgium, Brazil, Estonia, the Philippines, USA and Venezuela. The company has managed elections across five continents, processing over 3.7 billion votes. It serves customers through an organization comprising over 600 employees across 12 offices around the world.